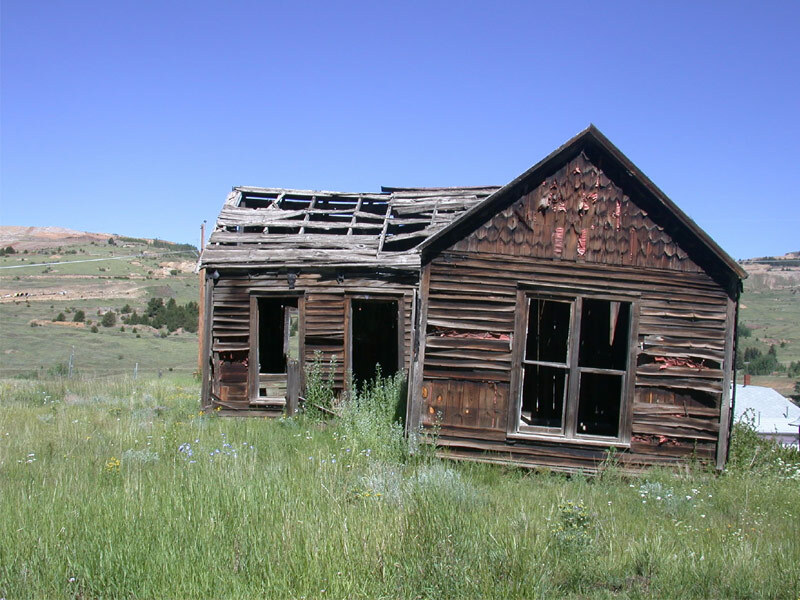 16 of the Most Fascinating Ghost Towns in the U.S.
Ghost towns are typically filled with riveting stories from the past that provide a glimpse of what it might have been like to live in a bygone era. Some tell the secrets of men, and a few women, on an endless search for treasure, while others tell the tales of a rags-to-riches life that most people only dream of, but more often, you’ll hear the whispers of tragedies and the hardships of pioneer life. 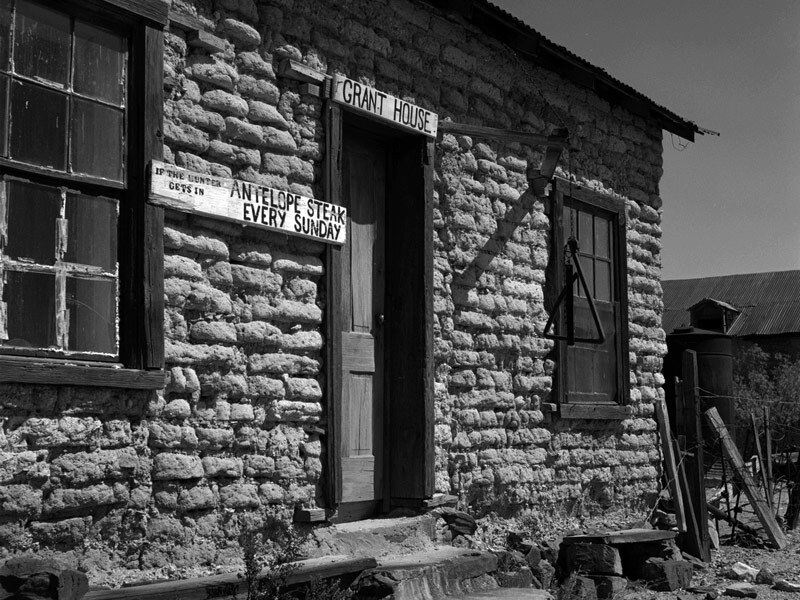 No matter what the tales behind them, these ghost towns are some of the most fascinating you’ll find across the U.S.
Piedmont, located in Wyoming’s southwest corner about 27 miles east of Evanston, was founded by Mormon pioneers around 1867 who were supplying wooden ties for the Union Pacific Railroad. It grew as the base for construction for a steep, winding railroad bed and the laying of tracks, and later as a station for steam locomotives to refuel and get water. In 1901, when Union Pacific dug a railroad tunnel several times from town, it rerouted tracks to increase traffic at the expense of Piedmont. The town quickly died, although its last resident lived until 1949. Today, three complete sandstone kilns remain as part of the Piedmont Charcoal Kilns State Historic Site. Victor was once home to upwards of 20,000 people, but today there are just a few hundred who live in this virtual ghost town on the west side of Colorado’s Pikes Peak. While nearby Cripple Creek is a booming tourist town complete with casinos, here you’ll feel as if you’ve stepped into the late 19th century with numerous period buildings, like the Victor Daily Record newspaper office, the Masonic Hall and trolley depot. The 1899 Victor Hotel is still open for business, complete with a beautiful Victorian-style lobby and authentic bird cage elevator. When the Lowell Thomas Museum is open, step in to learn about this world famous adventurer and writer who grew up in this high elevation mountain town that at 10,000 feet, offers a breath of fresh air in more ways than one. Virginia City was once the largest town in the inland northwest with a population of roughly 10,000 in 1864, but today, only a little over 100 call it home. Located about 80 miles from West Yellowstone, you’ll find more than 100 historic buildings, complete with historic artifacts and furnishings. 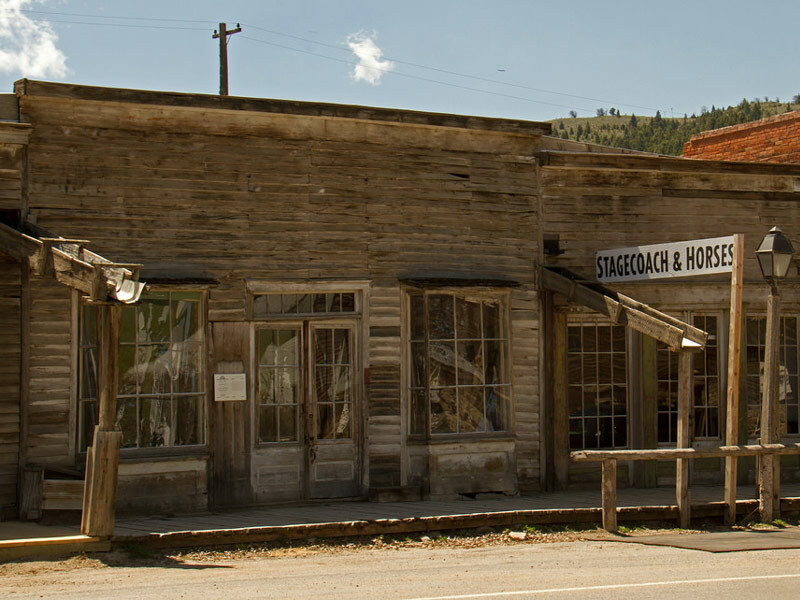 Although it is technically a ghost town, with so many tourists arriving to experience what it was like back in the day, you’ll also discover several attractions, including the opportunity to ride a narrow gauge railroad, hop onto a stage coach or watch the Illustrious Virginia City Players perform melodrama and vaudeville in the city’s opera house. 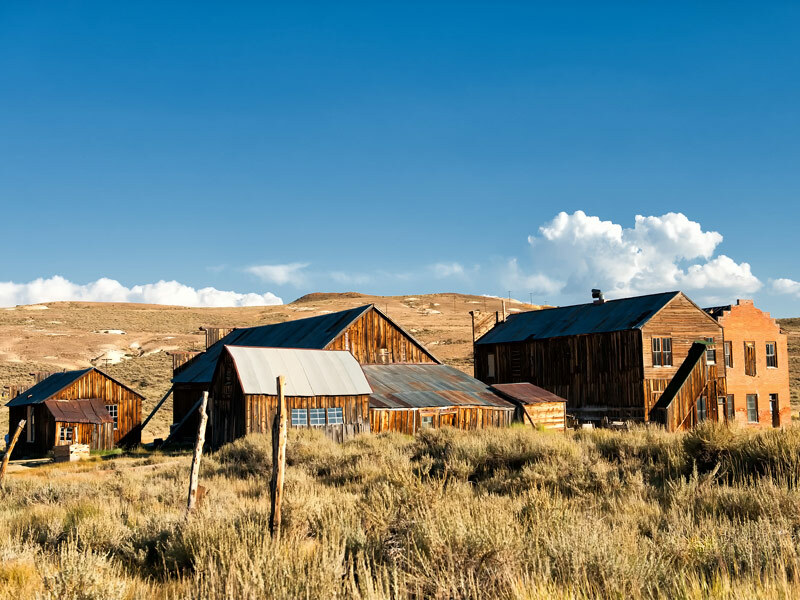 Bodie, California is one of the most well-preserved ghost towns in the country, tucked into the Sierra Nevada Mountains along the California-Nevada border. The closest town of significance is South Lake Tahoe, nearly 75 miles away. In the late 1870s, it was a bustling gold mining town, home to some 10,000 residents, including plenty of saloons, a red-light district, and most likely, opium dens. It endured a slow decline that took it well into the 20th century, with the post office ultimately closing up shop in 1942. Today a small part of Bodie survives, preserved in a state of “arrested decay,” with interiors remaining as they were left – complete with stocked goods. In 1962, it was designated as a National Historic Site and State Historic Park. Jerome, founded in the late 19th century on Cleopatra Hill overlooking Verde Valley, once boomed with 15,000 people, mostly made up of those who were looking to strike it rich. 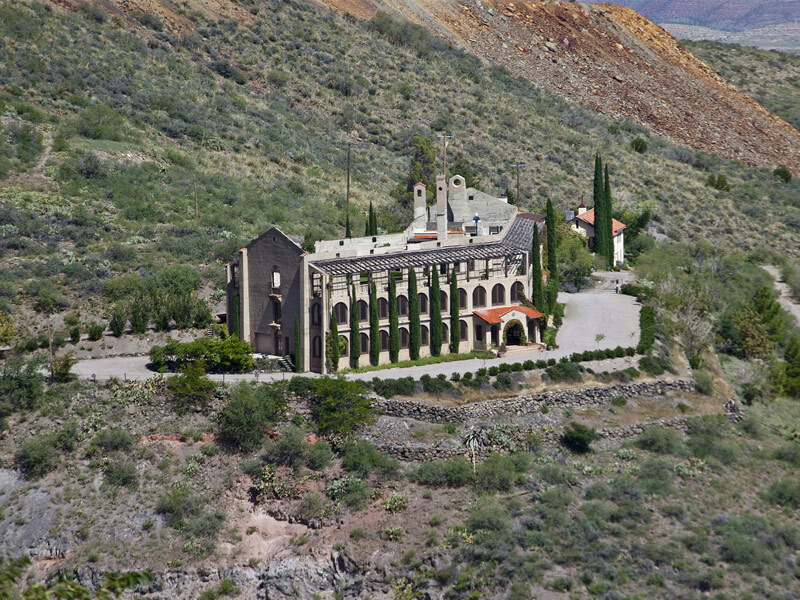 Its heyday was supported by rich cooper mines that made it once the fifth largest town in Arizona. The depression marked the end of the good times, with the mines finally closing in the early 1950s. Re-opening it as America’s largest ghost city arguably saved it from complete extinction. Today, Jerome is a state park with a population just over 400. Small shops line the streets along with ruins from its past, like the famous traveling jail. You’ll also find actors and historians wandering the streets, recreating the town’s glory days. Shakespeare, located about 2 ½ miles southwest of Lordsburg, has had a number of different names, including Ralston and Grant. It was in the 1870s when the Shakespeare Mining Company staked some silver claims and decided to name the town after itself. With the mining boom, more men decided to bring their families out to settle down, though it never saw a church, school or newspaper. The 1893 depression resulted in many of the mines closing and residents leaving, but a new copper mine in 1907 brought a resurgence to Shakespeare. Mining operations finally ceased with the Great Depression, and today, the site is a privately owned ranch offering guided tours. On your way in, keep an eye out for the cemetery, where many of the town’s more colorful residents are buried. This former silver-mining town in San Bernardino County peaked in the 1880s, but started declining not long after, with the price of silver dropping in the 1890s. By 1907, it was a ghost town. 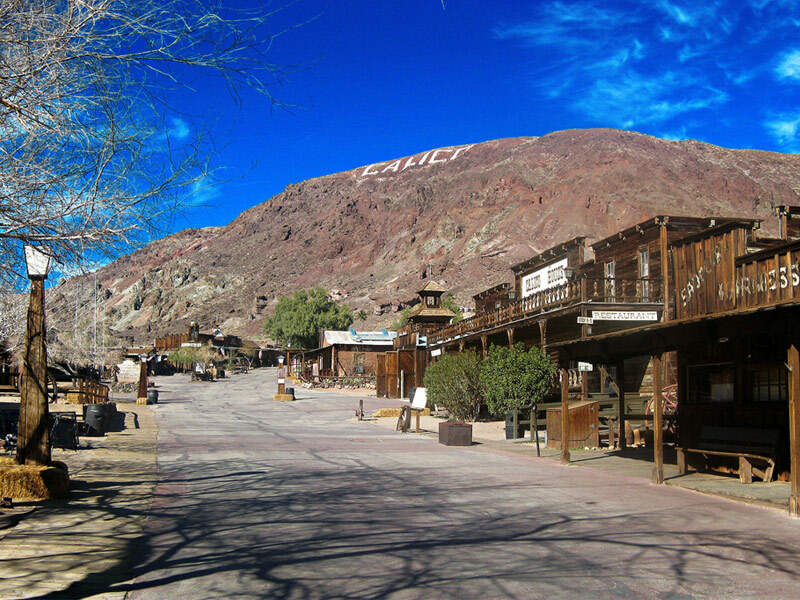 Restoration began in the 1950s, and today it’s a county state park known as Calico Ghost Town. You can still see about a third of its original buildings, as well as a few chintzy additions, like a gold-panning attraction and “mystery shack.” Still, it’s worth visiting to explore some of the structures that date back to its operational years like the town office, Lil’s Saloon, Joe’s Saloon, a general store and the former home of Lucy Lane, now the main museum, but originally the town’s post office and courthouse. 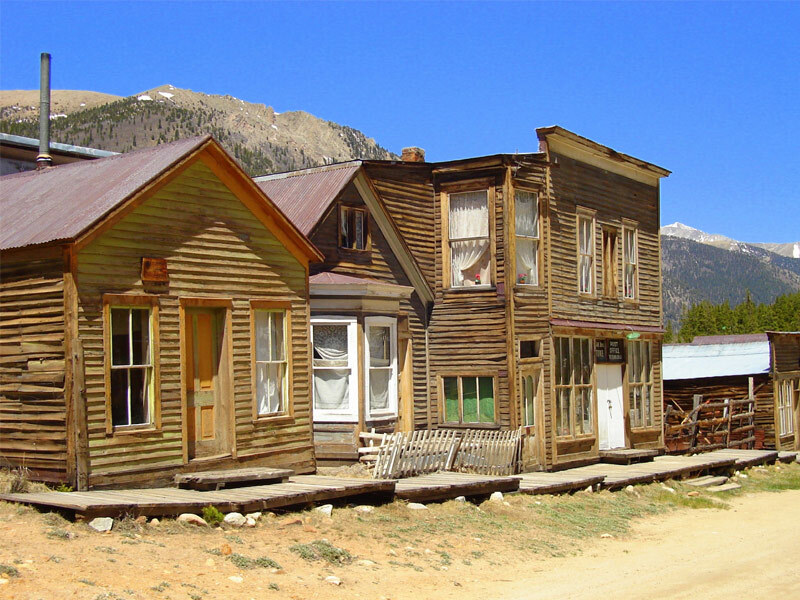 St. Elmo, located 20 miles southwest of Buena Vista, is one of Colorado’s best preserved ghost towns, with more than 2,000 residents at its peak in the 1880s as well as more than 150 patented mine claims in the immediate area. When the industry began its steady decline in the early 1920s, the railroad discontinued service, and by 1930 the population had dwindled to just seven. Today, there are still a few scattered residents, and walking the still intact wooden sidewalks passing the numerous original structures like a general merchandise store still in operation, a church, school and other structures, you’ll feel as if you’re walking the streets of history. 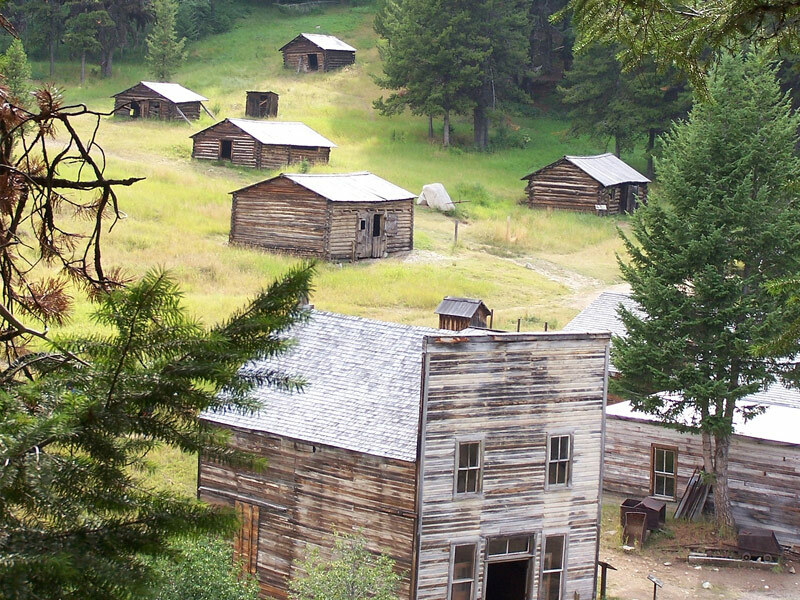 Garnet is another one of Montana’s most intact ghost towns, located in a remote valley of the forested mountains east of Missoula. Around the turn of the century, it had 1,000 residents, mostly gold miners and their families, along with four hotels, four stores, two barbershops, a butcher shop, doctor’s office, laundry facilities and 13 saloons. By 1905, the gold had been panned out resulting in residents exiting in droves. In 1912, a fire swept through the town with a population of just 150 – causing the few that remained to head out. 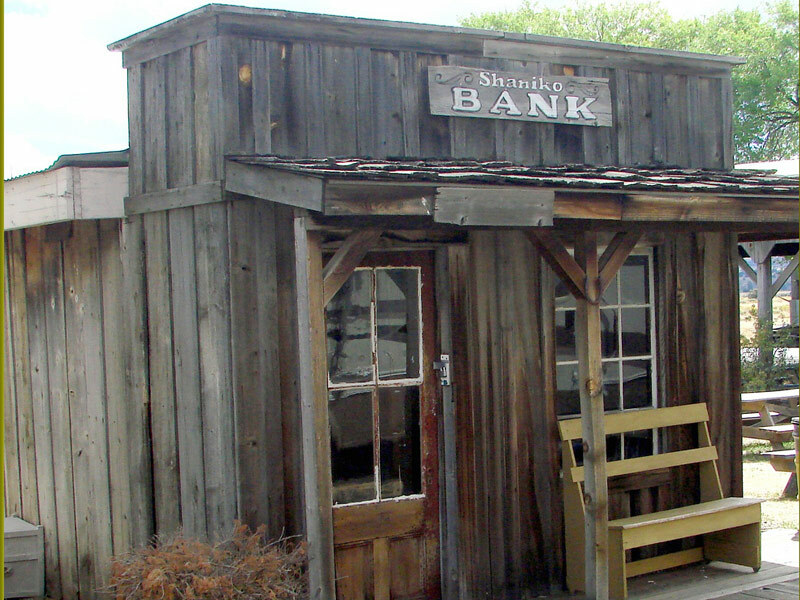 Today some 30 buildings remain, including a store, saloon, a log and frame cabin, and the remains of the J.K. Wells Hotel. In 1904, Las Vegas was yet to be established, and Goldfield, located 184 miles from Sin City and 264 from Reno, was the largest town in Nevada with a population of roughly 30,000 and a district that produced about 800 tons of ore. It grew quickly and fell quickly, with fewer than 5,000 residents living here in 1910. With a raging fire destroying most of Goldfield in 1923, those who were still here mostly moved away, transforming it into a ghost town. 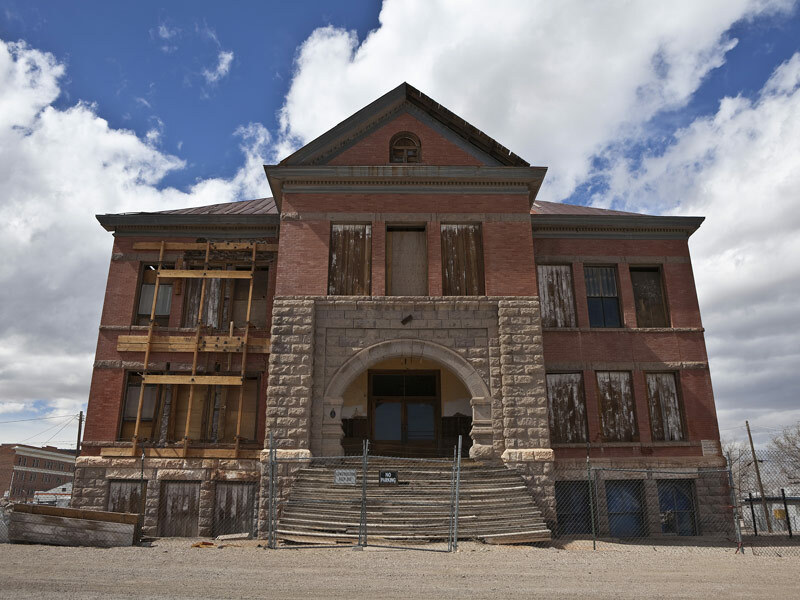 Today, the old Goldfield Hotel and the abandoned high school stand as a reminder of yesteryear, with the resident population just 268, according to the 2010 census. Cahaba, located 14 miles southwest of Selma, was the capital of Alabama from 1820 to 1826, though residents soon realized it was a bad choice as the area frequently flooded. This antebellum river town was later the home of a Civil War prison for Union soldiers and then, during Reconstruction, it was a meeting place for freed slaves. The floods eventually won out, leaving the town in ruins. Today, several streets, buildings, cemeteries and dilapidated homes remain, managed by the Alabama Historical Commission. 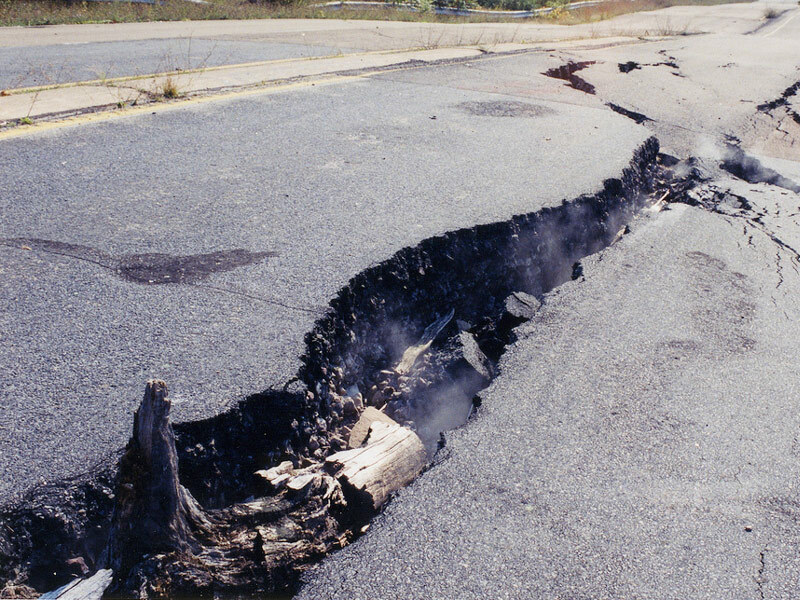 Centralia, located about 64 miles northwest of Allentown, became a ghost town in 1962 when a fire started in a mine beneath it. It was a spark at the town dump that reportedly ignited an exposed coal seam, which set off a chain of events leading to the demolition of nearly every building and breaking apart roads, taking out an entire community of 1,400. More than 50 years later, the fire still burns, bringing visitors from around the world to gawk at the empty, lonely streets and twisted, buckled Route 61, though there are still a scant few residents who refused to leave. 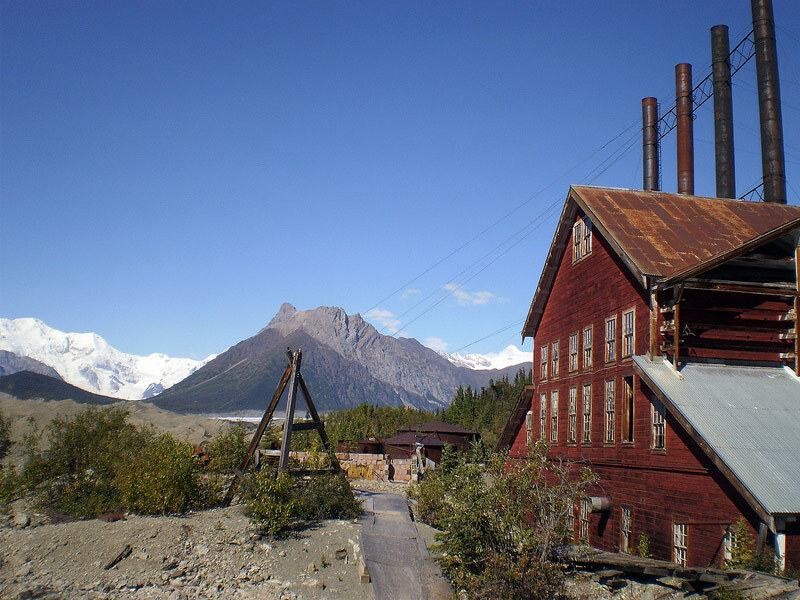 Kennecott, located at the very end of a 60-mile dirt road in Wrangell-St. Elias National Park is a ghost town frozen in time. While it’s certainly not the easiest to get to, it is well-worth making the long trek. This abandoned mining camp was once the center of activity for several copper mines, but in 1938 when the Kennecott Copper Corporation abruptly took off, they left behind equipment, buildings and even personal belongings. 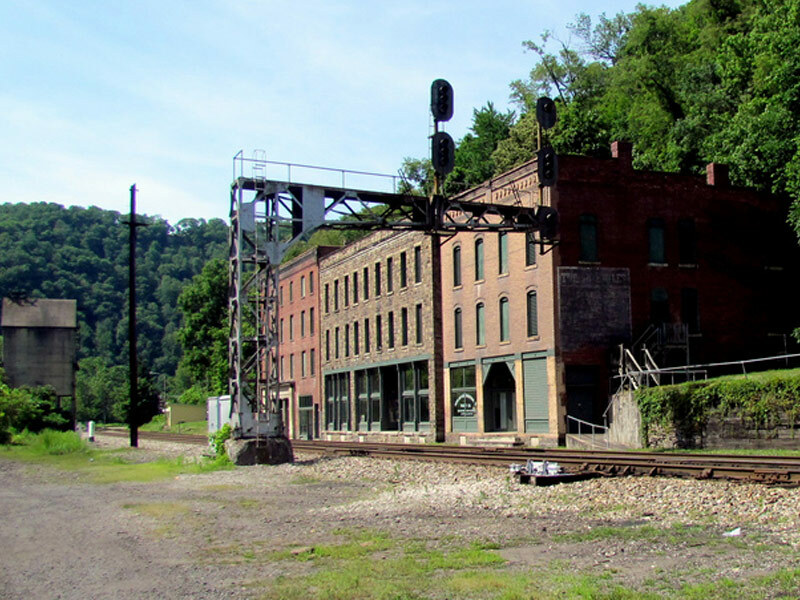 It’s now a National Historic Landmark District with all of the town’s original mill buildings and a number of other structures remaining as a virtual living museum, with tours available to take visitors into the rehabilitated mines. 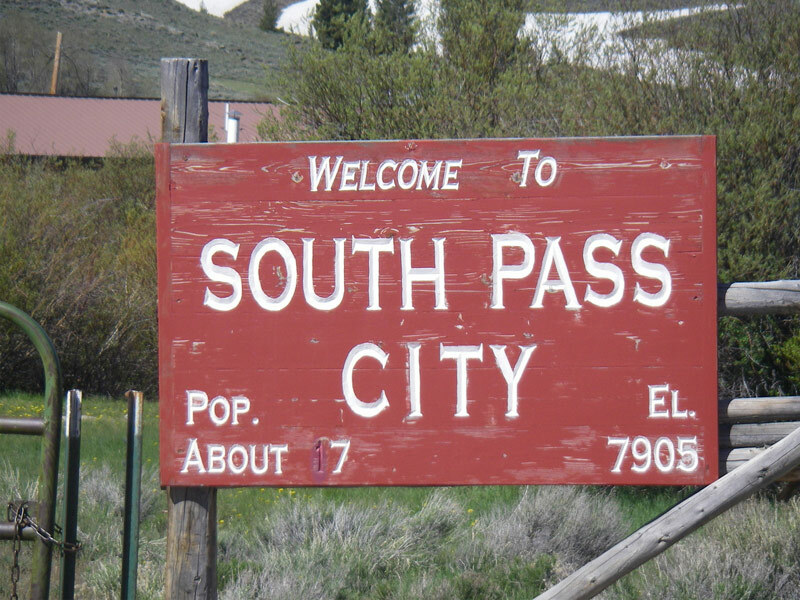 South Pass City can be found just north of the Oregon Trail, known as one of the most authentic settlements in the American West. It got its start when miners, drawn to the area by the promise of gold, flocked to nearby hills and streams in the late 1860s. By 1870, there were some 4,000 people living here and South Pass City became the county seat of Carter County. It didn’t take long for residents to discover the severe conditions of the region, with the population diminishing as people looked for a future elsewhere. By the 1930s, the town had fallen in disrepair, but some 30 years later the state stepped in to save it. Today, there are dozens of original structures that remain, including a jail, restaurants, dance halls and cabins. This coal town got its start in 1873, when the Chesapeake and Ohio Railway began transporting coal extracted from the New River Coal Field. C&O built a rail yard on the spot which became Thurmond, and coal from surrounding mines was shipped through. The town that straddled the New River was booming by the early 1900s – there was a ban on alcohol on one side, with brothels and saloons flourishing on the other. When the 100-room Dun Glen Hotel, sitting on the wilder side of town, burned in 1930, Thurmond fell into a slow decline. Most of the residents moved away with the advent of diesel-powered locomotives rendering the railroad yard less important. Today it’s a ghost town, with seven residents remaining, along with a restored train depot and museum. Shaniko is Oregon’s best known ghost town, located in Central Oregon about eight miles north of Antelope off highway 97. This once bustling town was first established in 1900, with numerous permanent buildings erected, including a combination City Hall, Fire Hall and jail, a hotel and other structures. It was once the wool capital of the west. Though a train once ran through, sheep and wool were its claim to fame and not the railroad. Following a series of unfortunate events, including a fire that destroyed much of its downtown business district, the town quickly began to fade. The old water tower and City Hall with the old jail, a school and post office still stand today in addition to several antique and gift shops that have popped up in recent years.